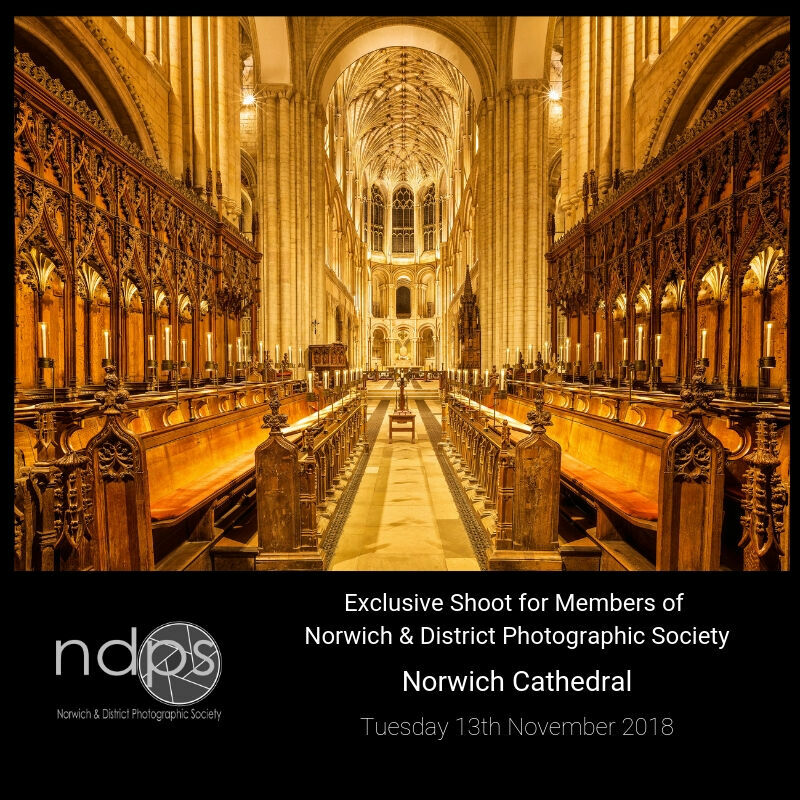 Next week's meeting on Tuesday 13th November will not be held at The Methodist Church Hall at Chapel Field as once again we have been allowed access to the Norwich Cathedral and Cloisters. This is a wonderful opportunity to get some great images of this wonderful historic building as it will be closed to the general public and we shall be able to use tripods (essential in the low-light conditions inside the building). Meet at the South Door by 7pm so we can all enter together for the essential pre-shoot safety briefing...!